“Order of operations... PEMDAS! (Parenthesis, Exponents, Multiplication & Division, Addition and Subtraction). 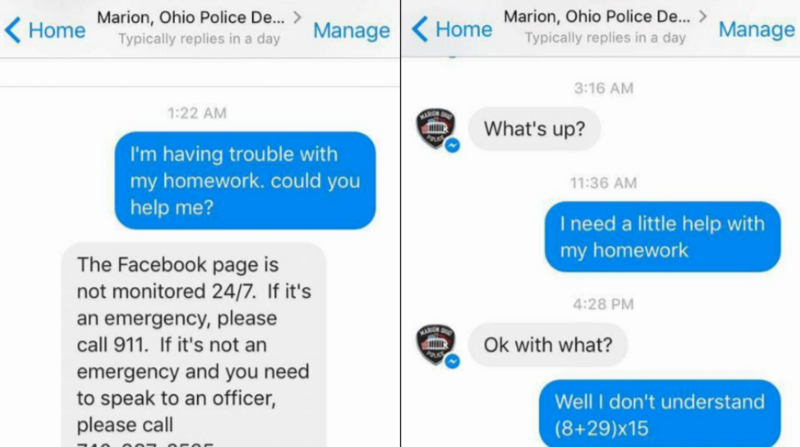 For future reference,” one Facebook user said, referring to the officer’s second answer. My daughter. Cause... She's my daughter. Thank you, Marion, Ohio Police Department, for truly building relationships with the community.